is a bluesy rock band with a touch of garage, influenced by the music from the 60’s and the 70’s. 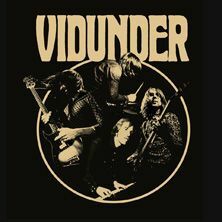 The band teamed up with Crusher Records and released their self-titled debut album in May 2013; an album praised by numerous major magazines, press and fans. After several tours over Europe it’s definitely about time… in 2015 they released the praised ORACLES and PROPHETS! A new Killer EP is comig out!